Join Dr Linda Greenwall and learn the skills, knowledge and confidence to undertake all aspects of advanced tooth whitening in this hands-on and theoretical course. 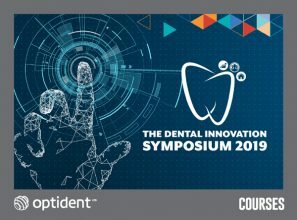 Taking place from the 23rd May – 24th May 2019 in London, this two-day course is accredited by the British Dental Bleaching Society. Join Diane Rochford and learn the skills, knowledge and confidence to undertake all aspects of tooth whitening in this hands-on and theoretical course. Taking place on the 14th June in Ilkley, this one-day course is accredited by the British Dental Bleaching Society. Join Diane Rochford and learn the skills, knowledge and confidence to undertake all aspects of tooth whitening in this hands-on and theoretical course. Taking place on the 21st June in London, this one-day course is accredited by the British Dental Bleaching Society. Join Diane Rochford and learn the skills, knowledge and confidence to undertake all aspects of tooth whitening in this hands-on and theoretical course. Taking place on the 27th September in London, this one-day course is accredited by the British Dental Bleaching Society. 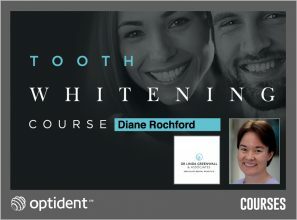 Join Diane Rochford and learn the skills, knowledge and confidence to undertake all aspects of tooth whitening in this hands-on and theoretical course. Taking place on the 11th October in Ilkley, this one-day course is accredited by the British Dental Bleaching Society. 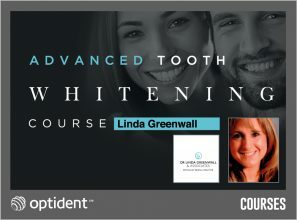 Join Dr Linda Greenwall and learn the skills, knowledge and confidence to undertake all aspects of advanced tooth whitening in this hands-on and theoretical course. Taking place from the 7th November – 8th November 2019 in London, this two-day course is accredited by the British Dental Bleaching Society. Join Diane Rochford and learn the skills, knowledge and confidence to undertake all aspects of tooth whitening in this hands-on and theoretical course. Taking place on the 29th November in London, this one-day course is accredited by the British Dental Bleaching Society. Join Diane Rochford and learn the skills, knowledge and confidence to undertake all aspects of tooth whitening in this hands-on and theoretical course. Taking place on the 6th December in Ilkley, this one-day course is accredited by the British Dental Bleaching Society.